Running the world’s largest magic company, Adam Wilber had to create a lot of magic tricks for his repertoire. As a magician, he wants to create certain types of experiences for people that watch him. Adam discloses that the true magic of 3D printing lies in outsourcing creativity. He is able play within the world of magic, from idea to sketch to design and then to physical things that he uses. Adam gets help from designers and creators all over the world who can take on the tasks that he’s never had time to learn. He’s learned that this process is just easier and a lot less time consuming, and has enabled him to do a variety of stuff with his ideas that he would never have otherwise been able to do. I’ve got a special guest for you that I’m very excited to bring to you and I know you’re going to really enjoy hearing from him. In our business travels, we go to a lot of different conferences in different parts of the country. A lot of them are 3D printing related but a lot of them are other general business networking types of events. We also go to a lot of digital marketing conferences. Definitely, this story and this interview is very much a 3D print related. Where I met this individual was at a digital marketing conference called the Digital Footprint. His name is Adam Wilber. Adam is an entertainer and a very creative guy. He’s also a keynote speaker. As an entertainer, he’s a magician among other things. He’s multitalented for sure. At a lot of these different events, sometimes they bring in people to help entertain and actually speak from the stage or just to entertain in general among all the 300 or 400 people that’s usually at an event like this at a hotel somewhere in the US. This was in Philadelphia in a Digital Footprint conference which is all about digital marketing, getting more out of your website, turning websites into a revenue-generating websites among many other things, podcasting, all sorts of good stuff. Adam is close friends with the COO of this company and was brought in as entertainment and he’s come back several times to that event. I’ve met him a couple years ago and just knew him as a magician and that was it. A magician and then he would speak from the stage and use his incredibly insightful techniques to take a group of two or three people and predict how they would answer questions that he would give them. He writes the answers before he starts engaging these people live on stage and eventually does get them to answer the questions and write on a piece of paper something that matches what he did. It’s hard to explain because you have to be there. It looks like he predicted the future of what these people think and would answer to a question. In reality as he’s talking to them, he’s planting seeds in their minds and gets them to say what he wants them to say. That’s quite a talent, but also just as a magician, doing tricks for all of us whether it’s at the dinner hour or in the lobby while we’re waiting in transition between different speaking events or him speaking from the stage and performing different magic tricks. He’s incredibly good at what he does. That’s how I met him and got to know him over a couple of these events. I was at another one of these events and he’s come to know me and he sees me wearing my 3D printed tie. He starts talking to me about his experience in 3D printing. I’m like, “What do you mean your experience in 3D printing? Tell me about that.” It’s this incredible story of a guy who is an incredibly talented and creative individual who wants to develop products for his company. He’s a very enterprising guy in business and as he’s a magician and he wants to create certain types of experiences for people that watch him, he has ideas for new products that he could use to help do that. He’s the type of guy that doesn’t just wish he had something and that’s the end of it. He goes and makes it happen. He takes the initiative and creates these products. What’s very interesting is he has some products that he developed maybe as much as ten years ago before his experience using 3D printing. Then has developed some products using 3D printing in his own home to create prototypes of these products and accelerate the prototype process and the product development process. He’s got a real good comparison of before and after and he’s a fun guy, and I know you’re going to love to hear from him. This is a great case study in how to use 3D printing to achieve certain goals. Adam, thank you so much for joining me on WTFFF. It’s great to have you on the show. I feel like ever since we’ve seen each other, I’ve seen you a couple of times over the last couple of years, I always knew you as a magician and an entertainer of some sorts. Then I came to learn at the Digital Footprint Conference when we last met in LA and learned that you were into 3D printing and I was fascinated to learn that. I do a lot of it on my own for work. While I perform for a living, I run the world’s largest magic company, Ellusionist.com, where we create magic tricks and a lot of those magic tricks use gimmicks. It used to be calling somebody and hoping that they would make a prototype in some reasonable amount of time and get it to me and then test it to find out none of it works and then go back to square one. The idea of being able to print these ideas, from idea to sketch to design and then to a physical thing that I can play with, in the world of magic that makes a big difference because very, very small tweaks can make or break an effect. Most of the 3D printing I do is to test out ideas in a very rough scale. Then if it works or there’s even a slight chance it feels like it’ll work, then I can develop it a little more before spending a boatload of money making products. It’s been massively beneficial to the creative endeavors that I do both for personal and for business. You have a 3D printer in your home or in your office? I do. It’s a LulzBot. I love LulzBot because it does everything I need to do but it’s also pretty stupid proof. You can plug and play with it. The software is easy for me to understand and grasp and I like their selling point that I think it was something like 40% of the machine was printed by the machine itself. I just thought that was a clever way to build out machines, to have the other machines build the parts to them. Then they also talk a lot about, “If something breaks, the nice thing is you can reprint the part right from the printer itself.” That was the marketing that hooked me and then once I got the device, it’s been great ever since. I have had zero issues with it. Magic Of 3D Printing: Try and learn something new every day but also understand there are certain things that you’re never going to stop learning. If you’re creating new products, tricks or gimmicks for your industry, you must be creating some CAD files? Most of the software or the design files, what I do is Fiverr. I’ve got three artists that took me about six months to whittle through the nonsense on there, but I have found three that each have skill sets in different areas. One of them is very precise. If I need a very fine tuned, precise print, I’ll send him a video and it’s me basically explaining with either cardboard cutouts, hand-drawn drawings, anything that I can do with my very limited artistic ability to get my point across. Then I’ll converse with them back and forth to make sure they understand what I need. They then usually within 24 hours will shoot me over a design file, an STL file that I can encrypt. I’ve had amazing success with it past the first six months of headache. Things like Fiverr and places like that are either a nightmare or a godsend and it’s just finding the vendors on those platforms that you know you can communicate well with that are fast and reliable. Once you have a database of those, I swear by it. Almost every design I do is from somebody on Fiverr. If it’s a very, very limited design, then I’ll do something like SketchUp or there are a few easy pieces of software. If I’m just making maybe a cylinder that has a hole in it, then I’ll design that myself. 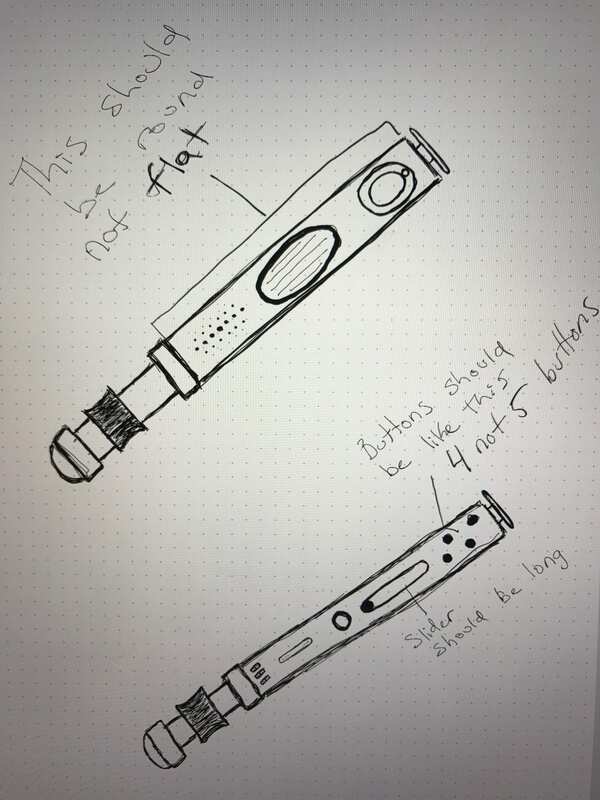 90% of what I design are sketches or cardboard prototypes that I show measurements to and send off to Fiverr. I try and learn something new every day, but I also understand there are certain things that you’re never going to stop learning. Being able to design in CAD is a skill set that especially moving into the future is immensely important, but it is also something that you’re never going to stop learning. There’s always going to be new software out there, new programs, new printers, new communication back and forth from the printer to the program. I just don’t have the time or mental capacity to pick that up. If that was the one thing, if there was no other way for me to get these design files, then I would have to learn it. The problem would be it would limit me pretty dramatically. There are certain files that I’ve had printed that we’re so advanced, I don’t know, even if I put a year into learning how to work with CAD that I’d know how to do it. I would still have to be looking to professionals. The problem with Fiverr and places like that is most of these people are not English-speaking natives so there’s a communication barrier. That is what I’ve found has been the biggest headache in dealing with any third-party designer is the communication and them not understanding. The easiest way I’ve found to combat that is prototypes in cardboard, some paper folded thing where they can see what I’m trying to say and then hand-drawn sketches with exact dimensions. All of that tied into a video. All of my designers get a video from me where I’m holding a paper prototype or sometimes I do it in clay so they can wrap their visual mind around, “I see what he’s saying,” and then they get a hand-drawn sketch. This is a sketch, this is me on a piece of paper drawing and then putting lines saying, “This is 3 mm or this is 12 mm.” It’s very rough. When I put all three of those together, a video, a prototype physical so they can see, and then a sketch with dimensions, I usually get a design. I can rush a design and I’ve gotten them in six hours before. I have one guy who’s great with things like that and then I have another guy who’s very good with dimensions, if it’s very exact dimensions. I sent him the measurements and he gives me a file beautifully. Then I have a third guy I work with for miscellaneous things. Having one guy on Fiverr that you treat well, I always say they’re not expensive, so why not just tip them whatever they charged you? One guy charges me $10 a file. For me to learn what this guy’s doing would cost me thousands. I just tip him $20 on top of his $10. To him, I’m his favorite client because he knows if I called, he’s getting a good tip and I get my work done very quickly. That’s what works for me. I just know I’m not going to learn. I’ve played around with some of the easier software and until they make it extremely easy, which will come probably in the next couple of years, but until there is a platform that makes it very, very easy, like posting to Facebook easy, it’s just easier and a lot less time-consuming for me to go to Fiverr. As a businessperson, you’ve found your path of least resistance to accomplish your goal is a great case study for our audience because I don’t think we’ve actually heard one quite like this before. I was fascinated after seeing you a few times perform magic at some of these business digital marketing events. I know you probably have many other places you perform as well. I was intrigued and very much entertained by you and then to learn last time that you actually use 3D printing and have an interest in it, I was even more interested to get to know you better. One of the things I want to touch on here, especially because of your having to communicate with people who English may not be their first language, I want to ask you about that. I’ve found that on stage you have this incredible talent to communicate with people and you lead them the way you communicate with them to get the result you want. I don’t know if it’s an NLP technique or a number of other things, but you do this thing where you have three people on stage and you ask them questions, you get them to respond and somehow you’ve predicted and written on a pad of paper somewhere the response you wanted them to get. Has those skills helped you communicate with people in business? Yes, I do think so. It’s knowing your audience. That’s one of the main staples of being any performer is know your audience. I can have a conversation with you about 3D printing that would be completely different than a nineteen-year old kid from India that knows how to design CAD like the back of his hand but doesn’t understand the difference between there and their. I know for me on stage, a lot of the influencing I’m trying to lead people down in those paths, it is a different way of communicating to the artists that I’m talking to on Fiverr. There’s a difference there, but I think it’s just overall understanding the audience and knowing how to talk to them to get the end result I want. On stage, the end result maybe, “I want you to think of the word dog. I’m going to know your background, know the environment we’re in and know what path I can communicate with you to get you to dog.” Whereas a designer on Fiverr, it may be a much different path to get him to get to understand the word as dog. Knowing that first and foremost it’s know thy audience before you can even start that chain of communication is the biggest thing. It took me six months of realizing. These guys aren’t bad designers, there’s a problem in the communication. What can I do to make this communication smoother for my designers on Fiverr? The secret I found was that threefold. 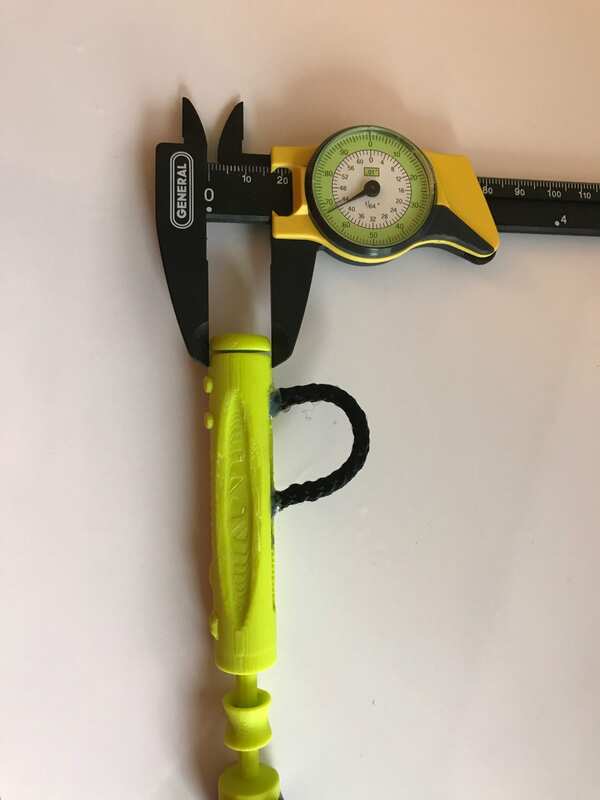 Show them visually with a video, show them with a prototype and then be very specific in your dimensions, in your measurements and they’re good at following those instructions. Whereas on stage, if I want you to think of dog, maybe I say, “Don’t think of the word cat, just whatever you do you don’t think of cat.” Now, they’re either thinking, “I’m going to think of cat. I can’t so I’ll go with dog.” It’s a different way of manipulating them to get to the end result, but I think it all stems around knowing your audience. It was very entertaining and you’ve explained a little bit of there, but you over simplified it because there’s a lot more to what you were doing. There’s 30 years of my life backed into it, but to simplify it, it’s basically that. There’s a lot more going on than that, but also, this has been what I’ve been doing for 30 years. Some of it, it sounds ridiculous, but it’s actually just unexplainable. There is no way to put into words what’s happening. Where talking to a guy on Fiverr is pretty explainable. It’s pretty easy to understand. The stuff I do on stage, a lot of it is knowing what to say, when to say it, but also a lot of them misdirection. A lot of what goes on behind the scenes that’s getting them to those miracles, if you’re going to call them that. To those of us that have no knowledge or experience in performing any of the things that you do, it is the miracle to us. To you, it’s maybe much more logical. Understanding how you go and get your CAD files made, which is a critical thing. I would think even for many beginners who are here on our show, who would want to develop their CAD skills to make their own CAD files, they’re going to go down that path, but maybe in the very beginning before they have those CAD skills completely honed or enough to be able to accomplish their goals. You’re illuminating a path that’s a great one to use in the interim. I love that I can be a 3D printer and not have to learn how to draw in CAD. I wouldn’t do it if I had to learn how to design CAD and I want to be able to do it. The idea of think of something and have it at your house that same day is world-changing, and I want to be a part of that. I found a cheat and my cheat is to have somebody do the hard work. It does limit me. For instance, that tie that you rock all the time. I’m not going to Fiverr to get me somebody to design that. There’s a lot of science and math and artistic ability that goes into that that I can’t rely on somebody else to do. Maybe I could show him a picture of it, but to be able to actually design, it opens up a huge, huge door that I won’t be able to go through. Anyone who’s considering it, if you have the means and the time, learn this skill because this is a skill that will take you in the next ten and twenty years. It’ll be massive what you’ll be able to do so absolutely. I took the easy way out because of necessity. What I think is going to happen is somebody who’s going to develop a software that makes it so easy to design a file, whether it be taking a photograph or something, but it’s already getting there. Some of these software out there now is cut and paste and it’s pretty simple, but still there’s room for improvement and that’s exactly what’s going to happen. There’s going to be a company that makes it so easy that it’s going to feel like you’re just playing a game. You’ll be able to throw something together. All the little mistakes that we would make in designing a file, it’ll take care of all that and I think we’re maybe a year or two away from that. Once that happens, the sky’s the limit. Everyone in the world’s going to have a 3D printer at their house and they’re basically going to be able to print whatever they want. Until then, and even when that does happen, still knowing how to design in CAD is a skill set I wish I had because it allows you to do things that you just can’t do otherwise. You can’t communicate to a designer at least not in a time-sensitive way. A skill is amazing, but for me, I knew what I needed and what I wanted and the easiest way for me to do that was to say, “I’m not going to learn this. I’ll just hire someone else to do it.” So far, it’s worked great. There are also websites out there that have tens of thousands of pre-designed files on there and you can download those files and tweak them and play with them and manipulate them and then print them. You could keep yourself busy for years just doing that. What you’ve done is you’ve gotten very hands on with your actual 3D printer. You’re printing in your home. Tell me about that process because there had to have been a bit of a learning curve and trial and error process that you went through getting good at that. That’s why I love LulzBot because they did have quite a few videos online. I’m a YouTuber. I go to YouTube and find out anything I want to know from a video. I found somebody that had a LulzBot, I did a setup tutorial video, watched that. I used Cura and I went to a YouTube video and said, “Cura beginners.” I watched a twenty-minute video on that and LulzBot gives you a sample thing. You plug the system in, it’s like an Apple product. It takes you from plugging it in through prompts to printing your first design, and your first design is their logo, which is this cool octopus. From taking it out of the box, plugging it in to printing my first design, it was about an hour and half long process. I had this cool octopus and I got to see how it worked. They made it really easy. I’m certainly limited to I would never change out, for instance, this printer head, it allows me to print a lot of different material, but I know I’m not going to do anything except the plastic that it comes with, because that’s more learning than I’m ready to do right now for what I need. I need something that I can say, “Here’s an idea. 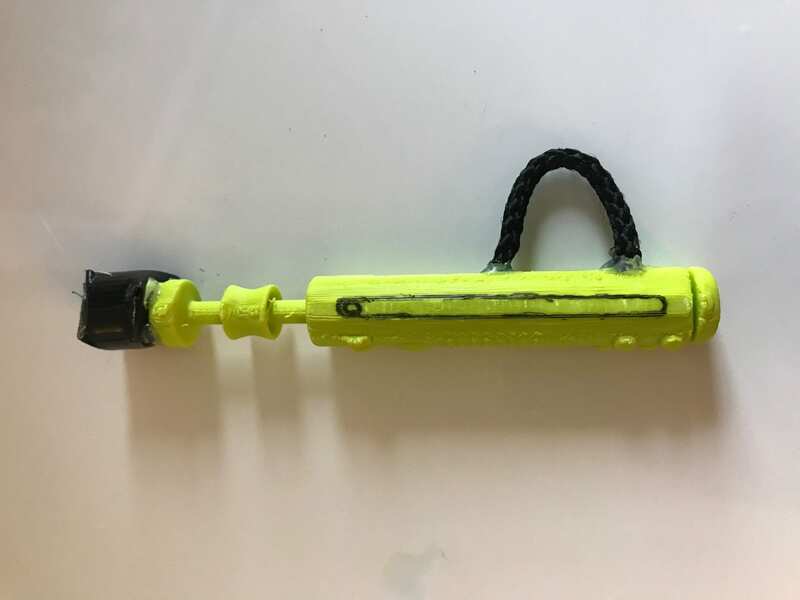 I need to print it out on plastic and hold it and feel it and see if it works.” For what I’m doing, it’s perfect, but I’ve also seen some cool people print with wood and metal and all these interesting things that I know I’ve already found. Imagine if I could print a coin, if I could manipulate a quarter and print it out however I wanted, the magic tricks in that alone, I could think for days on tricks I could come up with for that. I know I’m limiting myself because I’m not putting the energy into learning I could. I learned most of it in that first two weeks of playing around and most of it was just through prompt and downloading a lot of the free files. Finding things I thought were cool, downloading them, seeing what this Cura thing could do and learning as I went. I’ve been pretty lucky. I haven’t had any issues that I’ve seen other people on forums and whatnot deal with. The LulzBot for me has been user-friendly and trouble-free. I’ve been lucky in that accord. That’s quite an endorsement actually for LulzBot. That’s a company that I’ve talked to and we both said, “Why haven’t we had you guys review our 3D printer?” I was like, “I don’t know.” Hopefully, we’re going to take care of that pretty soon. It’s interesting that you equate it to an Apple product because from all appearances, it doesn’t look like an Apple product, but what your experience with it is more what you were talking about. I equate Apple to be very dummy-proof. They make things so easy with even their icons being like, “This one looks like a movie, so maybe that’s where I edit movies.” They make it very simple. You plug it in and it tells you what to do. I felt like LulzBot did very much with the same thing. “Plug this in and we’ll take it from here. 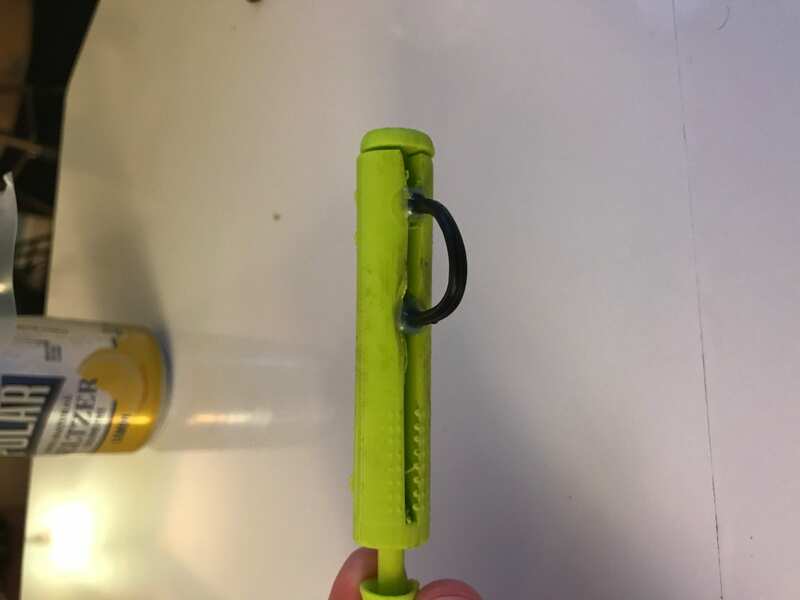 By the time you’re done, basically reading and clicking next, you’re going to have this cool thing printed, that you just print it.” That’s genius because that allows you to see what’s happening and experience this coolness and plastic melting into this item. Now, after that I was like, “I’m hooked.” I probably printed ten things that day, staying up until four in the morning, just downloading things from online and printing them out. That’s the experience I equate to Apple. By no means is their aesthetics like Apple. It’s not the prettiest machine I’ve ever seen by far. For the price, I think I paid $1,000 or something a year and a half or two years ago and I’ve printed hundreds of prints on it and had zero issues. It’s not pretty by any means. I know that MakerBot and some of those other things are pretty. Maybe, later down the line I’ll get a pretty one, but for me, I like things that work and this thing has worked from day one. 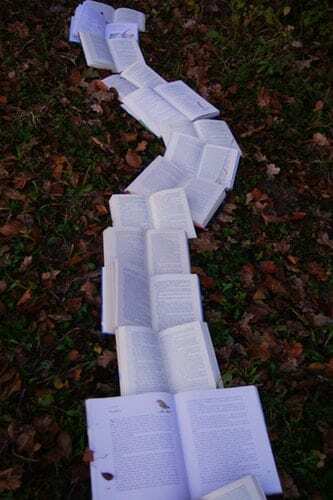 The learning curve was there, but you can find just about anything you need to find very specifically on YouTube or Google. Both of them, I found videos of somebody setting it up, printing and showing me exactly what to do and I just stuck to that. I know if something does go wrong, I’m in trouble. I’m going to end up having to send it back or do something, but it hasn’t happened yet. Adam, I’d love for you to share with me and our audience your journey with the Fiddle Stick. This product that you’ve invented and you used your 3D printer as an integral part of the process of creating this. Can you try to describe what this is and take us through that journey? The Fiddle Stick is a modulated fidget toy. There’s something called a Fidget Cube, which was a Kickstarter campaign. I think it was the third highest grossing campaign. 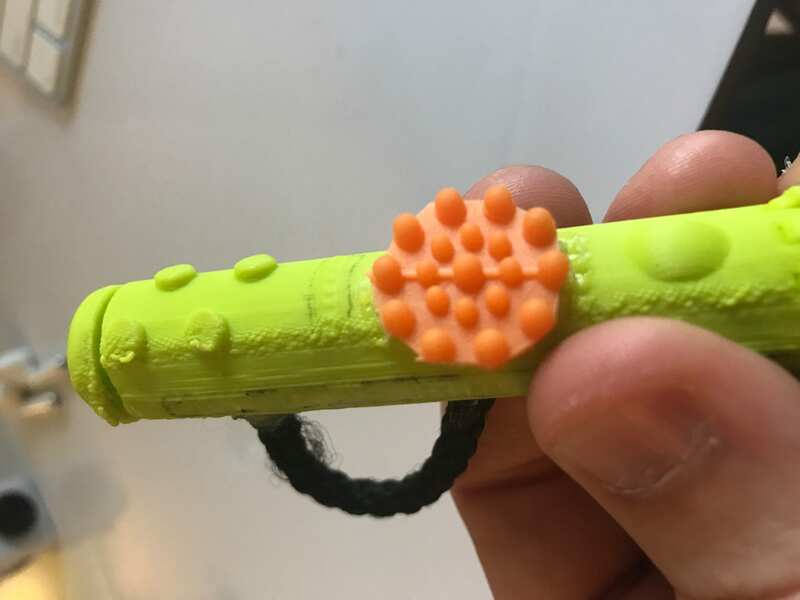 They had done $6.5 million in 30 days and it’s a fidget toy. It’s a little small cube that you put on your desk and you play with. There are buttons and dials and it is to keep your fingers busy. I loved that. 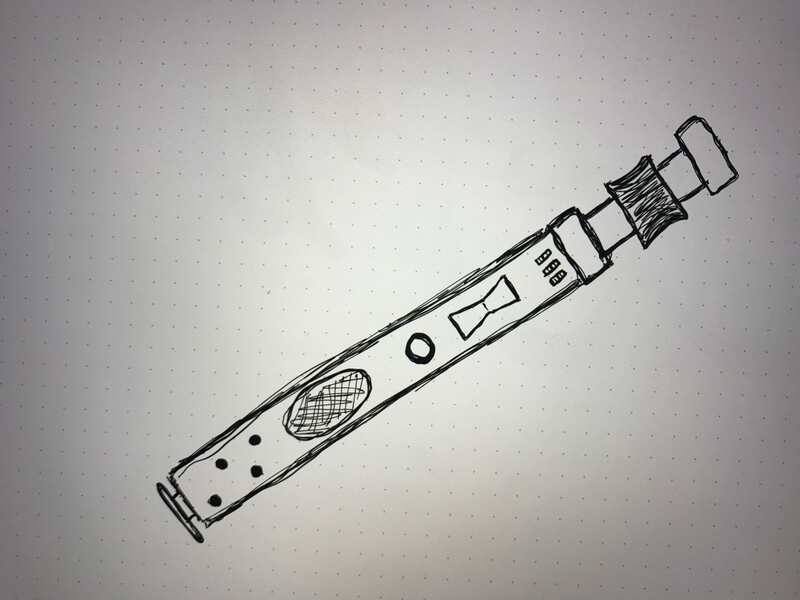 I thought it was great, but I’d seen some issues with it that I didn’t like personally and I knew it was a hot market right now, so I handdrew my idea. I started playing with that and just fiddling around. I took a hanger from my closet and saw the hook on it and went, “I’ll cut that off and I’ll stick that hook in there in the hole,” and I did. Then I realized, that made this cool loop where your finger could go and you could flick it around your finger like a set of keys. Instantly, right then I was like, “This is something neat.”Then I manipulated and played further and further and turned it from a coat hanger into a piece of cord and then advanced it. It ended up becoming the best part of the Fiddle Stick. It allows me now to do all these aerial flashy moves by flicking it around my finger, which never would have happened. In that playing around with it, I shoved a coat hanger in which then I went, “This feels neat around my finger. What else can I do with it?” Then it became the best part of the product, which was I think one of the coolest things about being able to print at home. Before, I would have sent that to a place two weeks later, gotten the print back and went, “You screwed it up,” and I sent it back. I don’t think I would have had the freedom to play with it. I knew, “I’ll just print it again right now and it’ll come out fine. As it’s printing, I’ll play with this one that messed up.” Through the error of, “I’m not even sure, maybe the design was messed up, the software screwed up or had a hiccup or whatever, but through that it became a much greater product that I ended up getting a patent on, which I wouldn’t have otherwise from a screwed up print.” It ended up being great. I would call that a happy accident or even some people would call it a blessing in disguise or a successful failure. I think most creative endeavors are that. If you look at most products that you look at and use every single day like Velcro, the potato chip, penicillin, almost all of them are mistakes. They were creative endeavors going in a different direction and mistake came about and now we have these products. That’s what is cool about 3D printing. It allows us to be hands on in those mistakes and see what works with them, what doesn’t work with them and then build off that. I think most cool stuff comes from a mistake in a different direction. “I was trying to do something and I made a mistake, but I invented penicillin.” The potato chip was a joke. They genuinely made a mistake and they gave these to people thinking it was going to be this horrendous thing. Velcro, the same thing. It was a mistake. They were trying to make something else just like superglue and all these other things. That’s what I appreciate about the 3D printing or you can stop a print halfway and just go, “Let me just stop it,” halfway and look at this project problem or a creative challenge in a brand new way I never would’ve been able to otherwise. It’s like taking an item, cutting it in half and looking at it from that point of view. All of these things are things that are only possible because of the technology that we have now in our living rooms or in our offices. While you could have gotten 3D prints before, I don’t think you could have them in your office, print three or four out of them in one day and experiment. It makes the creative process and that fun journey available to everybody. Anyone who’s got a few hundred dollars to buy a printer has that option. I love it. You say you’ve patented the Fiddle Stick. Is it being manufactured? Have you commercialized it? What’s your plan for it? Obviously, you felt there was enough value in it to file and obtain a patent. It’s already available on the market. That was another beautiful thing about 3D printing. This came from idea to product on the market in I think it was 75 days, which is insane. We did 20,000 units of these things. Did you 3D print the ones you sold, those 20,000 units or did you conventionally manufacture them? It sped the process up. I had it on the market in 75 days, which I know I’ve done products almost identical with the same vendor and those took six to eight to twelve months if not more. 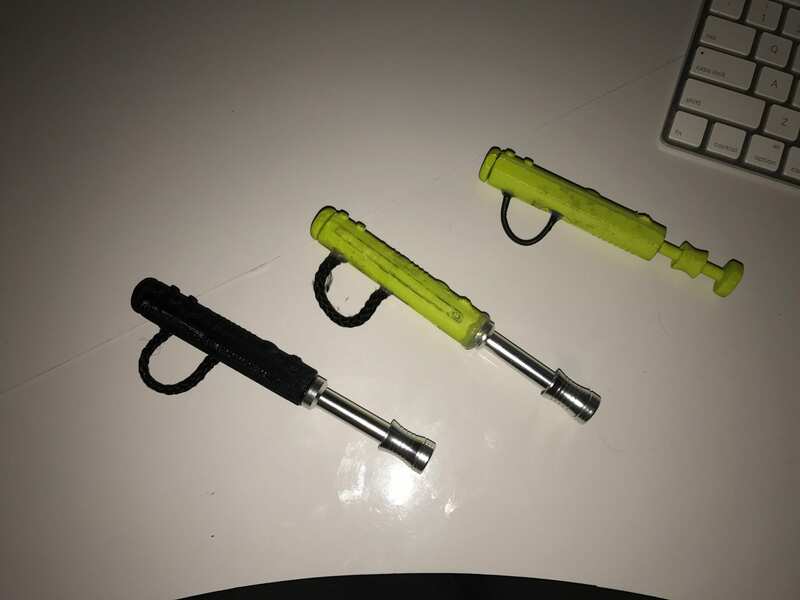 I 3D printed them, got the design down, got the prototype down, got everything the exact way I wanted, send it to China, they sent me the first sample. I tweaked that a little bit. A real sample of all the moving parts and then approved it and then we launched at Kickstarter. We had it funded on Kickstarter with over $60,000 in backing in less than seven days. Now it’s available on the website and I’m pretty much everywhere. I just got my first knock off from China. Somebody is already knocking it off in China. That’s a whole another episode. I would love to talk to you about that. I have a different podcast called Product Launch Hazzards that’s about the trials and tribulations of more of the bringing products to market and dealing with infringers and things. This is a fantastic example, 75 days. You think that the difference between getting this to market and accomplished even communicating with China and done in 75 days, was that directly attributed to your being able to make prototypes in your house with your 3D printer? Absolutely. The other thing is my vendor in China, this is a toy type thing, which is what they specialize in. That obviously helped, but 100%, the speed of this was because I was able to do almost all of the work on my end until I said, “Here’s what I want you to make. Make it.” Without being able to print and design that here myself, it absolutely would have been a six to eight-month project easily. Adam, you’re a creative guy. Maybe all magicians are creative. I don’t know too many magician or performers like you personally. I just haven’t had the opportunity to meet very many of them. You seem particularly creative. You had this other project that you demonstrated at the last event that we were at together called PYRO. You conceived that and invented that and worked with a company to bring it to market. PYRO was my first big claim to fame. That was my baby. That one took me two and a half years from idea to launching it on the market. That’s a wrist worn fire shooter. You shoot fireballs from your apparently empty hands. That was awesome, that did very well. Who wouldn’t want to shoot fire? Some people love shooting fire. You’ve demonstrated that live for us at this last event, but there’s also some amazing videos, promotional videos about PYRO that I think they’re just rad videos honestly. Those videos were on YouTube, right? Yeah. I think it’s the first video that comes up if you type in PYRO or PYRO fire shooter. Let’s talk about PYRO. You didn’t have a 3D printer at that time, is that right? Do you think if you had it, the speed to market would have been shortcut quite a bit? I do. There’s a lot in PYRO in the sense of electronics inside. Not a lot, but a lot more than usual. I’d probably spent a rough estimate between six and ten months on the housing, on what it should look and feel like and how it should sit on your wrist. If I had a 3D printer, that six to eight months would’ve been shrunk down to probably a week. I could’ve gotten the exact same shell housing, the feel, curvature of how it fits on your wrist, all of that was back and forth. Samples sent to me from China, me looked at, me changed, then me sending it back to China. Then they tweaking it, sending it back and even when rush shipping. We’re rush shipping to China back and forth, that’s expensive and it’s still two or three days. I remember one of the housings I sent to China, it got stuck in customs for almost a month and it was the only sample we had. It was either restart and have them do a whole another one and then have me resend it and tweak it and send it back or wait it out. We waited it out and it finally showed back up, but I could have done all of that outer shell printing here by myself. I didn’t even know that the technology existed at that point to be able to print that way. If I did, I would’ve had a design guy, I would have drawn it, would have sent them the exact specs, printed it out, tweaked it until I liked it and sent it back to China. That would’ve saved me at least half a year, if not more for sure. 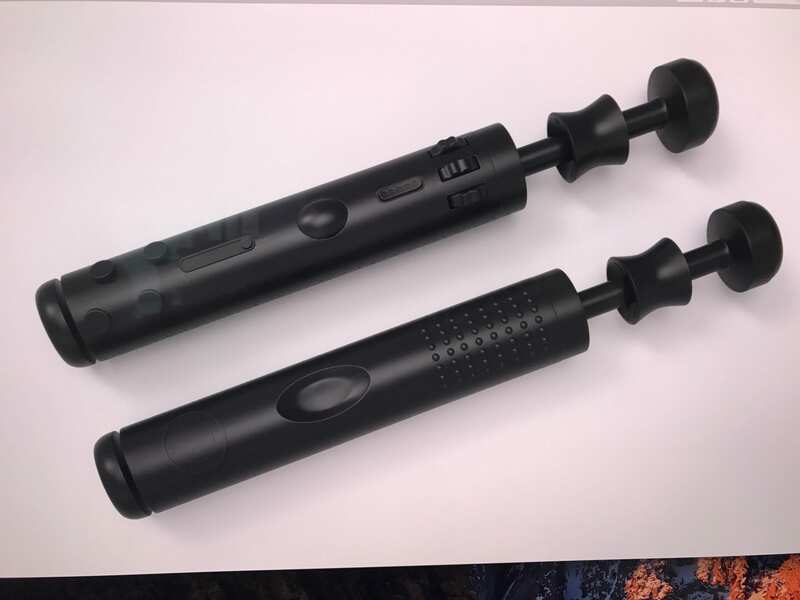 I couldn’t be more diligent with my communicating to China and instead of going to Fiverr for 3D print, give them all of that but the problem is there are always mistakes. Even if I send my idea to my designer on Fiverr, he sends it back to me, I print it, I immediately know, “I screwed that up.” I can now take the file and tweak a little bit that I need to fix what I want. Where sending it to China, I have to send them the file, have them print it. I have to get in a queue at that point, so I’m probably five days out before they print it. Then they print it, they send me a photo, it looks good. I approve it, they put it in the mail, mail it to me. That’s another three days. We’re now about a week to two weeks out for me getting what would have taken me 24 hours to print at home. Now, if there is a problem with the file or the print, instead of me just going in and playing around with the file on Cura or some software that I can understand, I have to try and communicate what the issues are then send it back to China and hope they understood what I said and wait for another sample to come back. It’s truly incredible the amount that it can speed it up. I don’t design in CAD. I don’t do it unless it’s a very, very simple thing. If I knew how to design and had a printer or even maybe a larger printer, one that could print a little larger items, it would be scary to me the stuff that I think I could come up with. I understand that though because you are such a talented entertainer, magician. I don’t know exactly what you call yourself, but you’ve got tens of thousands of hours in doing that. The misdirection and all the different things that you do, you’ve had to spend the lion’s share of your time doing that. That’s your primary talent. Obviously you have a serious interest in this and I imagine, as you’re practicing different routines, tricks, you probably find yourself wishing, “I wish I could do this or do that.” Now it seems like you’re able to go and solve those problems and you’ve found a way to do it that fits in with the reality of your professional career and the time that you have. It’s convenient and with anything in life, if it’s convenient and it adds value to my life, then awesome and just having a printer and visibility, the value that it adds to both my life, my work and just fun. The first things we did where I printed off new toys for my kids. In my head, that as an idea that I can see a toy that my kid sees online and says that’s neat and then an hour and a half later I say, “I just made this for you,” is such a cool thing. It’s conveniently made my life much better. The icing on the cake is, I didn’t have to pay for it because the work that I print is for the company that I’m general manager of which is Ellusionist.com. They pay for it for me. I’m sure you know about this, I’d love to start playing with these basing ones, these dripping ones where you can get smooth and pristine printing, but it scares the heck out of me because it’s messy and it’s a new learning thing. There is a new learning when you’re talking about some of the resin printers. It’s a different process. I’m interested to try one myself. We have been talking about that and I’m considering getting one in to try it out because we’ve had a lot of experience with the filament machines now. We appreciate the surface quality you can achieve with the resin machines and there are a lot of new color resins that have come out, but it’s a different process. You’ve got to deal with this liquid resin and you have different post-processing you have to do to wash it in alcohol and things like that. Those things are not necessarily deal breakers, but it’s different. It’s a little more involved. It’s not as I would say clean or easy in some ways. With everything, there are pros and cons and I certainly appreciate it. We may be doing some similar exploration to what you may do here in the future. You can definitely do that and even we do that. We don’t print everything here that we need. I’ve used service bureaus even for the same type of printing my printers can do here, but there are also many other materials available to print through service bureau. There’s so much opportunity and wonderful materials and colors and finishes to explore. I would encourage you to do that, to try some of that out. I think you’d like it. It still eliminates a lot of the time process, but it saves me from having to buy a new 3D printer and trying to learn a whole new platform. The exciting thing to me is in a year and a half, in two years, what the printers are going to be like and more so the software that the average Joe is going to be able to use because someone’s going to crack it. The average Joe needs to be able to design cool things and here’s the software to let them do that. There’s a couple but even the easiest ones I’ve found, there was one called Tinkercad. There are even some tablet-based ones too. It’s up and coming. The biggest problem with software is there’s not any one standard that deals with a lot of different things. There are so many options out there and I think the biggest issue people have is choosing which one to go for. You’ve circumvented that by just using others to accomplish what you need, which is nice. I wonder what your kids are going to do. Imagine your kids, they see the printer, they see the things coming off of it. I bet they have some interest and want to try it when they’re old enough or able. Even now my son is like, “Can we make that? Can we do that?” I don’t let him stand in the room with it because I don’t know if breathing that in is good for them. They watch for a couple minutes and they think it’s neat and then they get a toy. When my kid is fifteen or sixteen and his creativity is through the roof, at that point they’ll probably just think of something. It’s an exciting thing and I don’t want to be the best in the world at it, but I don’t want to be left behind by it either. I don’t want to go, “I never got into the 3D printing thing. It’s too complicated.” I want to have some finger on the pulse of this industry and see where it’s going to go because I think that and virtual reality are going to be the two biggest things that change the world in the next five years. I appreciate you coming on and sharing your thoughts and your real world experience using 3D printing in your career to achieve your goals. I’m super excited and thank you so much. Thanks for having me. It’s been a blast. It’s always fun to see you at those conferences. Thanks for having me on. I hope you enjoyed and got a lot out of that interview as much or if not more than I did. I learned a few new things even than I had learned before speaking to him in person. Just such a nice guy and a talented guy. He sent me a dozen photos of his fiddle stick and the development of it. There’ll be a lot of great visuals that go along with this podcast. I’ve also got a couple of videos. I definitely have a video embedded there of the flashy, highly-produced video that promotes his PYRO product that he developed quite a number of years ago. I’ve seen him use it in person and the video also helps get the point across as to what this is and why especially magicians or entertainers might be interested to use this product, but it’s just a cool product. Shooting fireballs from your wrists is a very surprising thing to people you may be entertaining. I’ve even embedded another video in there where he was actually on a TV show called Fool Us on The CW where he was in a competition. He actually fooled Penn & Teller who were some of the judges of this reality TV show competition. You will also find a bio information on Adam. You can take a little deeper dive into what he’s all about, see his photo and find links to his website. If you have an event that you’re putting on or you’re involved with in any way and you’re interested in having a good speaker and also person to help entertain your audience, there’s a place you can fill out a form on his website. Make a request and find out what it takes to get them to book him to come to one of your events. Definitely check that out. I was taken by his story of how he was very interested in 3D printing and thought it was cool how he can make things right at home so much more easily. He talked about how that accelerated his product development process 75 days to bring the fiddle stick to market from when he first started to work on it compared to six, nine, twelve months for a product he’d done in the past. Talk about incredible power of 3D printing and he doesn’t even have very many CAD computer modeling skills. He said he certainly can do a few things either within Cura or manipulating a few things, whether it’s Tinkercad or SketchUp, but he doesn’t have significant CAD skills and he doesn’t really want to and doesn’t need to in reality. He’s got business goals. Magic Of 3D Printing: There was definitely some time invested there and a little bit of learning curve to figure out how to make that process work. He has things he wants to achieve and he’s much more easily able to achieve those goals utilizing resources, other outside resources. In his case, he talks about using Fiverr. He was also quick to point out and I hope that you all made note of it that it took him about six months of experimenting and trial and error using different resources on Fiverr before he found two or three resources that he felt were very good at what they did. He communicates effectively with and he could get the results that he was looking for. There was definitely some time invested there and a little bit of learning curve to figure out how to make that process work. Now that he’s ironed out those bugs, he uses it all the time and it works for him. I say more power to him. I hadn’t considered very much that you could own a 3D printer, get a lot out of it and be very effective in achieving your goals without going and learning and developing CAD modeling skills of your own. It’s because I’ve been using CAD modeling software pretty much since CAD modeling software first existed. It’s second nature to me and so I haven’t approached it from the perspective of someone that doesn’t have those skills. Maybe it shouldn’t be that eliminating to me but it certainly was. I have great respect for what he’s doing, and he’s doing a great job. More power to him and I can’t wait to see what some of the next things he develops as we cross paths at future events. I hope you enjoyed that episode as much as I did. It was a lot of fun and a great story and a couple of great case studies there. That’s of great benefit to many of you out there. Please remember you can connect with us anywhere on social media at @3DStartPoint, especially Facebook and obviously everything is going to be at 3DStartPoint.com as well. Thank you for listening. We’ll be back next time with another great episode. This has been Tom on the WTFFF 3D Printing Podcast. Creativity isn’t a finite personality feature – it’s a skill that EVERYONE can master with the right mindset. Adam Wilber proves that theory as a world-class magician, author, inventor, and keynote speaker with a limitless supply of creative ideas. 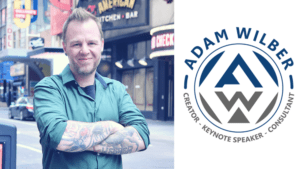 As a keynote speaker and creative thinking workshop leader, Adam engages, challenges, and inspires audiences with the promise that everyone can learn how to be creative. The impacts of innovation range from success in business to personal fulfilment and happiness. 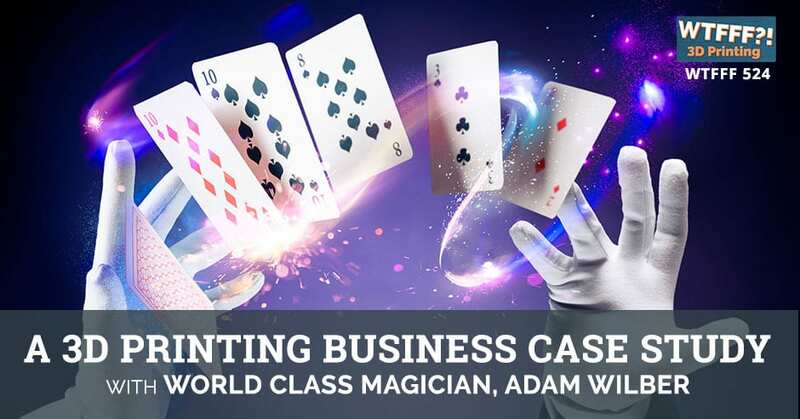 Adam brings compelling energy to the stage with the perfect mix of magic entertainment and unique creativity concepts that will revolutionize the way that you think and dream.